I understand that AlphaZero has to use a different kind of hardware than regular Stockfish. I would expect that the hardware has a large effect on engine strength. That's why I wonder whether there have been any attempts made to provide comparable hardware to both. Also what would "comparable" mean here? That's why I wonder whether there have been any attempts made to provide comparable hardware to both. This is Google you're talking about! So the answer is obviously "No". AlphaZero and the previous AlphaGo Zero used a single machine with 4 TPUs Stockfish and Elmo played at their strongest skill level using 64 threads and a hash size of 1GB. So, AlphaZero used special hardware developed by Google. It used specialized Tensor Processor Units (TPUs) rather than general Central Processing Units (CPUs) as are available commercially. They used 4 TPUs for the games, so a processing power of 180 TFLOPS. Note TFLOPS = 1000 billion floating point operations per second. For comparison Intel's latest most powerful chip is the Core i9 Extreme Edition processor which clocks in at 1 TFLOP. A top of the line I7 that you would find in a gaming machine would typically be about 100 GFLOPs (i.e. one tenth of a TFLOP). I think it's fair to say that AlphaZero was using an 800 pound gorilla of a hardware configuration compared to Stockfishes mouse. I think it's best if I elaborate on your second point with an example move in the game 1 between AlphaZero and Stockfish which also served to satisfy my curiosity today. Stockfish's performance is dependent upon both the time limit and the hardware configuration, so just think of when someone doubles the CPU threads, then Stockfish needs less time (not necessarily half) to find the solution than it would with the first configuration. At first, It gives b4 as the optimal move when the engine is running for about a minute. After that, it decides Be3 is better. But after 5 minutes on my hardware that runs on 1,400k nodes/s it will decide to go with Kh1 as the optimal move. In the paper, it is said that stockfish calculates 70,000k positions per second and is run for 1 minute per move, that's about 50 times my hardware, so I'll let mine run for 50 minutes... Kg1-h1 is still the choice for Stockfish. 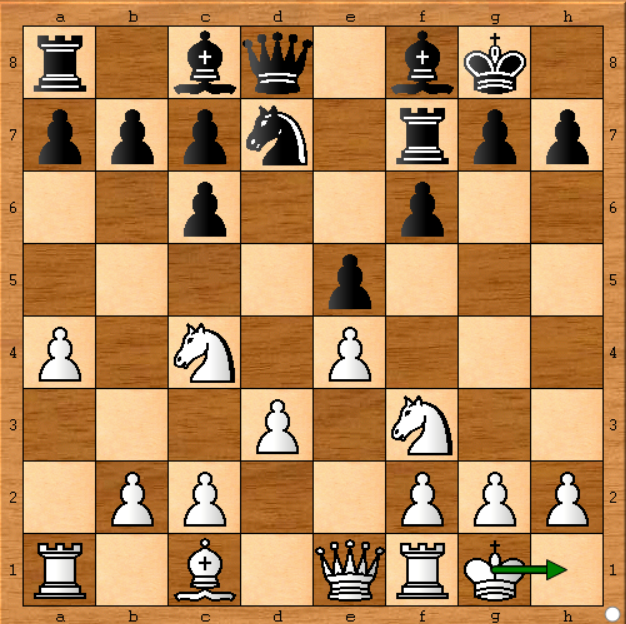 In this position, Stockfish chose to move the pawn on the left side (a4-a5). Let's say I have a computer that runs the Stockfish engine at a speed of 1,400k nodes per second, that's about 50 times lower than the Stockfish in the real game (In the paper, it says 70,000k n/s). So I can simulate the game if I run it for 50 minutes at each move. Okay. Stockfish started out suggesting some moves, but after 6 minutes on my computer (corresponds to 7.2 seconds on the Stockfish in the real game) it preferred a4-a5 just as the game went. After 18 minutes the line changed back to Qc3. Again, after 24 minutes the best move was Ne3. After 27 minutes, it suggested Ng1 all the way up to 56 minutes. After that, the optimal move was Nf3xe5 but it's past the 50 minutes mark I mentioned before (you can see the engine analysis for an hour and 22 minutes in this screenshot). The sad truth is that I believe Stockfish lost all its games because of the time limit. Stockfish gets a more in-depth search and evaluation as the time passes and in the game it wasn't allowed to use an opening book which makes it consider many moves in shallow depths. Note that in the actual game a4-a5 was played which shows that (assuming it could evaluate 70 million positions per second) the Stockfish in the game didn't spend more than 21.6 seconds on the move. Otherwise, it would have changed its decision to those three other moves in the actual game. The reason for this is still unclear to me since my Stockfish was also consuming less memory (about ~130MB of RAM compared to the 1GB mentioned in the original paper, assuming all of it goes to hash tables). The hardware that ran Stockfish, as I pointed out, was at the very best 18 times faster than mine (Update: on a single core) based on the move I analyzed. I'm not sure if AlphaZero could really make use of such hardware to train its networks in 4 hours, I can only assume it's too low for a game like chess. Besides, AlphaZero spent those hours on learning which also includes building solid openings (and as the paper points out, preferences over certain openings). On the other hand, Stockfish was handicapped on openings, and it did not evaluate 70 million positions per second for 60 seconds on each move. As a final note, all the things I said were based on my assumptions. Of course, the outcome of AlphaZero and the games were super interesting to me. However, I would have loved to see a game where the Stockfish play was just like what I get on my computer, too. That is, more time and an opening book allowed. It's also easy to get the outputs of Stockfish analysis on every move, and I wish they release it in order to show how well it performed. For chess engine programmers -- and for programmers in many other interesting domains -- the emergence of machine learning techniques that require massive hardware resources in order to be effective is a little disheartening. In a few years, it is quite possible that an AlphaZero like chess program can be made to run on ordinary computers, but the hardware resources required to create them will still be way beyond the budget of hobbyists or average sized companies. It is possible that an open source project with a large distributed network of computers run by volunteers could work, but the days of hundreds of unique chess engines, each with their own individual quirks and personalities, will be gone. Running on comparable hardware would be required if Google's end goal was to build a superior chess engine, but this exercise wasn't really about chess. Chess is just a convenient way to demonstrate the AI's ability to learn complicated tasks from scratch. If it can perform well against some vaguely reasonable configuration of Stockfish, it's checked the box. I predict the Google team will not spend much more effort on chess; instead, they will move on to other problems that AI has never been able to accomplish. Visit Talkchess Forum to know more, there is where you will find some 3000 programmers. This was all a scam. Alpha played on 30 times bigger hardware than SF, 4TPUs vs 64 cores. 4TPUs is around 1000 cores or even more. Alpha had simulated opening book, trained on countless top GM winning games. SF had very little hash. TC was fixed at 1 minute per move, which is again detrimental to SF, which has advanced time management. TPUs lack the SMP inefficiencies with more cores, so the hardware advantage was even bigger. Etc, etc., so basically, this was just a huge publicity stunt on the part of Google. Currently, Alpha is around 2800 on single core, so 400 elos below SF, and will not advanced much in the future, as, from now on, it will need advanced evaluation it will not be able to discover. Concerning the 4-hours issue, well, LOL, this was 48 hours ago, so now Alpha is at 5000 elo? Come on. Stockfish is constrained to CPUs so it will never be able to scale to the level that GPUs are able. Gor matrix calculations GPUs scale with the n, while CPUs scale with n3, these tensor cores are further optimized so it's likely even better performance as you scale. With AlphaZero the hardware has 0 effect on the strength of its play. It may take longer but not because it’s thinking. It’s a neural network, which means you feed it info in a vector (a single column table) it does simple math thru a giant tensor (a 3 or more dimensional table) then it spits out the answer. Stockfish needs time to be good because it checks possible positions to see if a move is beneficial, so the longer it looks at the problem the more position/moves it can check. There isn’t really a comparable hardware setup. 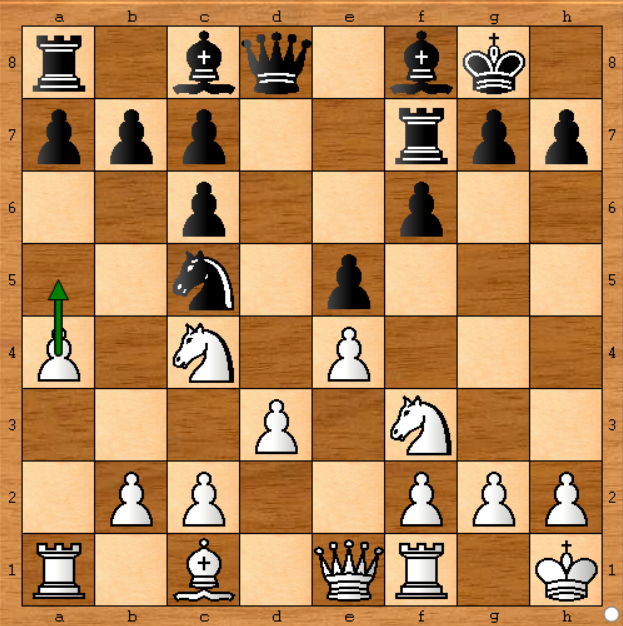 Because they have different needs, Stockfish needs to analyze more positions while AlphaZero just needs to make a move. And people are upset because AlphaZero's computer is technically much more powerful and they think they should be equal in that regard. But, AlphaZero doesn’t need that supercomputer after training. In my opinion it doesn’t matter what they give to either side, unless Stockfish has an unreasonable amount of time it will probably tie a few more games but in general a similar effect will happen. This is why I think this, Stockfish initially evaluates with pieces and their values while, Alpha played (probably) millions of games to realize what is important strategically. Which is why Alpha sacs a lot more than Stockfish would ever, but gains huge positional advantages. Not the answer you're looking for? Browse other questions tagged engines stockfish computer-chess hardware alphazero or ask your own question. How can Elo be unofficially estimated?